I hope you had a wonderful Christmas with family and friends! Do you need a few notes to say thank you for the gifts you’ve received? This card comes together really quickly – I made several of these in just 10 minutes! The embossing folder for the frame is an older one from Stampin’ Up and the “thanks” stamp is one I’ve had for several years from Amuse Studio. Another option to replace the embossed frame would be an oval or scalloped oval punch or die. Of course, any “thanks” or “thank you” stamp that fits your frame will work. 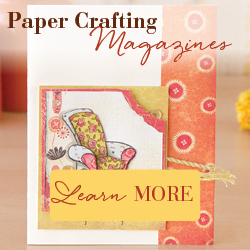 To make the card, cut 3 different patterned papers into a banner shape. Layer onto a white card. Emboss frame on white card stock and trim close. Stamp “thanks” with red ink in the center of the frame. Attach to card with foam tape. Attach red flower to the frame and finish it off with a pearl in the center. This is such an easy card to adapt to any situation – just change the colors and patterns for whatever you need! I love the simplicity of this card – but it is sent with heartfelt thanks! This entry was posted in Cards, Christmas, Stamping. Bookmark the permalink.